I remember the first time I met Stas. It was 2012, and my intern team hosted an English club at a local school in Ukraine to promote summer camps. Ukraine is one of the largest and poorest countries in Europe. Currently, an ongoing conflict with Russian separatists in Eastern Ukraine keeps Ukrainians unsure of what lies ahead for their nation. Ukraine’s culture has been influenced by its rich Orthodox heritage. Despite this, many youth see the church as a place for three things: weddings, funerals, and museums. Today, less than 1% of Ukraine’s youth have a saving relationship with Jesus Christ. We want to help change that and putting on evangelistic summer camps is one way we do this. Throughout the English club, Stas kept his distance. This thirteen year old boy was hesitant, shy, and barely spoke. We even tried to get him to play a game by getting all the class to cheer his name. Not even that could bring him out of his shell. What I didn’t know about Stas then was that he was struggling in school. Low marks and bad reports from his teachers concerned his mother. So, as punishment, she told him, “You’re going to English camp this summer.” She packed his bags and walked him by the hand to the bus stop to make sure he wouldn’t run away. From that point forward, Stas’ life changed. When he told his friends what happened at camp, they refused to speak with him. At first, their rejection was hard to take. He thought things would get better, but they seemed to be getting worse. So, he prayed and asked God for new friends. Not long after, he started attending New Life Church in Lviv. Every Sunday, his friend Vlad would pick him up and take him to church. Over the next few weeks he found real friends who loved him and supported his faith. God answered Stas’ prayer and gave him a place to grow. Slowly, Stas started coming out of his shell. Three years later, his church started Fusion, a music ministry JV does in local churches. One of the youth leaders invited Stas to be part of Fusion. Now, that shy boy I met five years ago isn’t afraid to give devotions or perform in public. 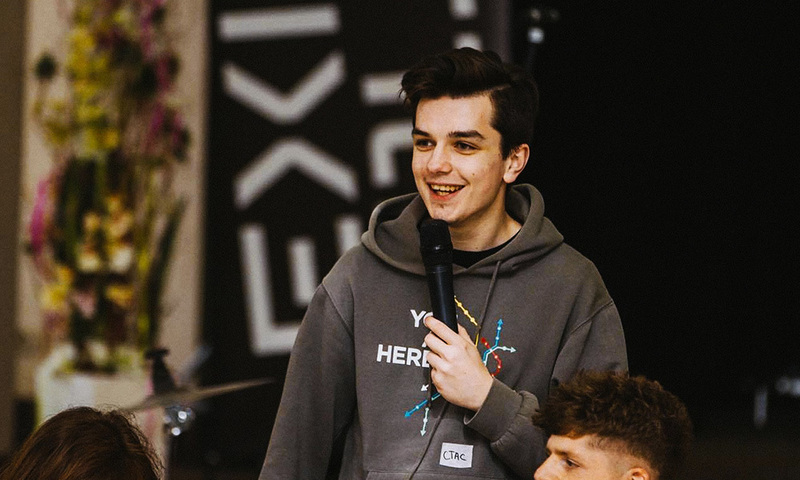 After three years, Stas continues to serve in Fusion and influence youth for Christ. He is also part of the church’s youth ministry, Upstream. 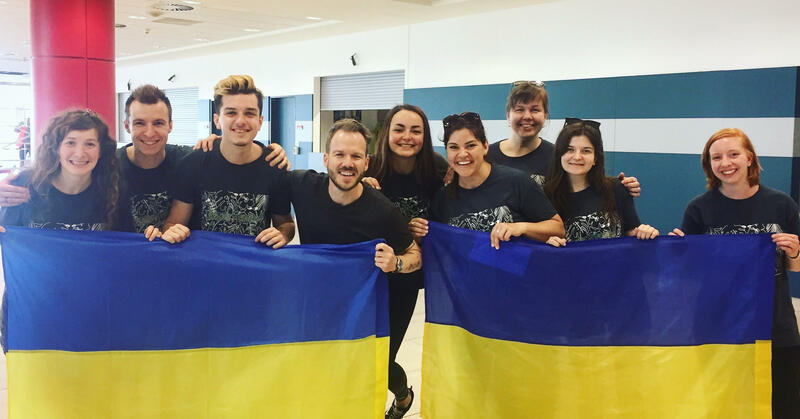 This summer, Stas is serving as one of our JV interns in Ukraine. Pray with us that he and his team will reach many young people with the good news of Jesus Christ and connect them to a local church where they can be discipled, just like what once happened in Stas’ life. Keep up with Stas and all our JV interns throughout the summer by checking out the hashtag #jvinterns on Instagram, Facebook, or Twitter.